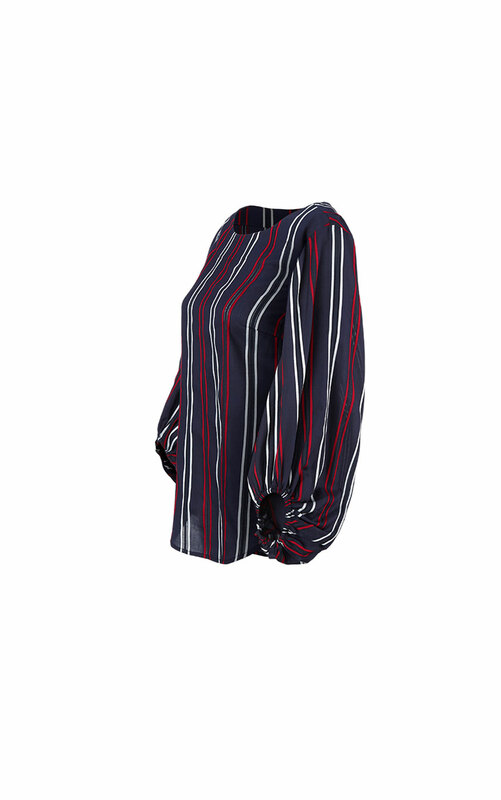 Classic Americana goes modern in this soft cotton blouse with red and white stripes on a navy blue ground. 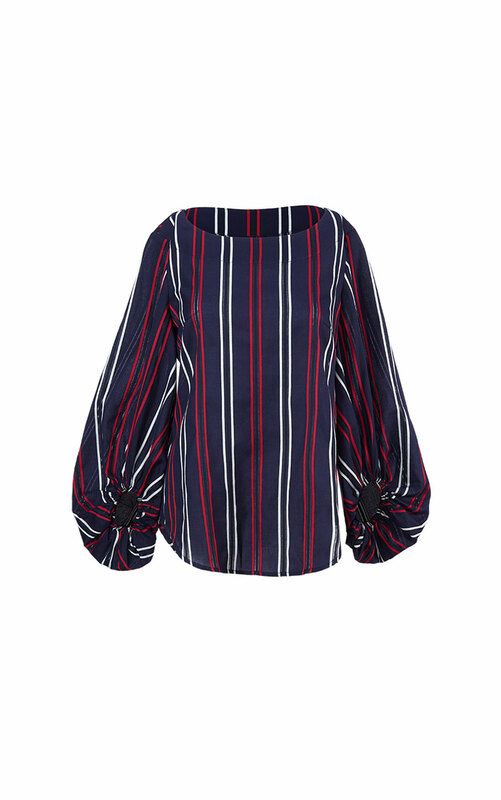 The Flag Blouse features a wide bateau neckline, shirttail hemline, a body skimming shape, and a dramatic sleeve with an elastic cuff. 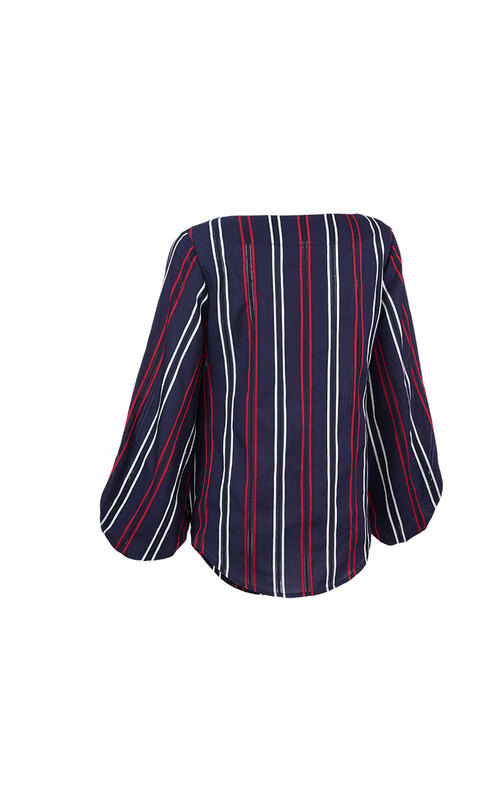 Loving the Flag Blouse? Share how you’re wearing it on Instagram, and browse through all the inspired ensembles for fresh ideas.